I needed to reinstall macOS, so I deleted my partition and opened the Mac recovery and started downloading Sierra. Unbelievable 6 hours later, the installation was stuck and I turned my MacBook off. 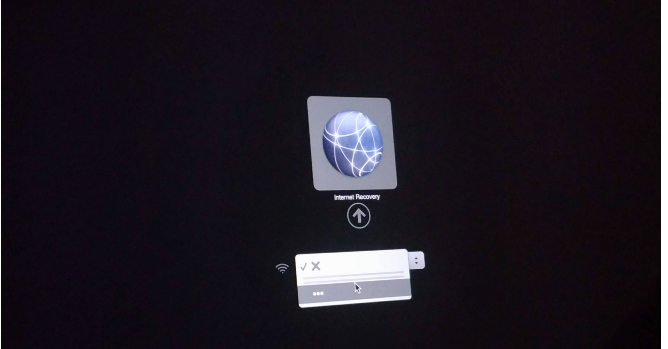 I tried everything, changing my WiFi authentication type from WEP to WPA/WPA2, all boot shortcuts, resetting SMC/NVRAM. Clicking the "..." button lets me manually input the WiFi SSID and password, but it hangs forever in the loading indicator. I don't have another Mac to make a bootable USB stick and reinstall the OS, only Windows. I had to reinstall macOS using a USB stick. Probably the recovery partition data was corrupted and my WiFi network wasn't compatible at all for some reason. Not the answer you're looking for? Browse other questions tagged macos recovery internet-recovery .